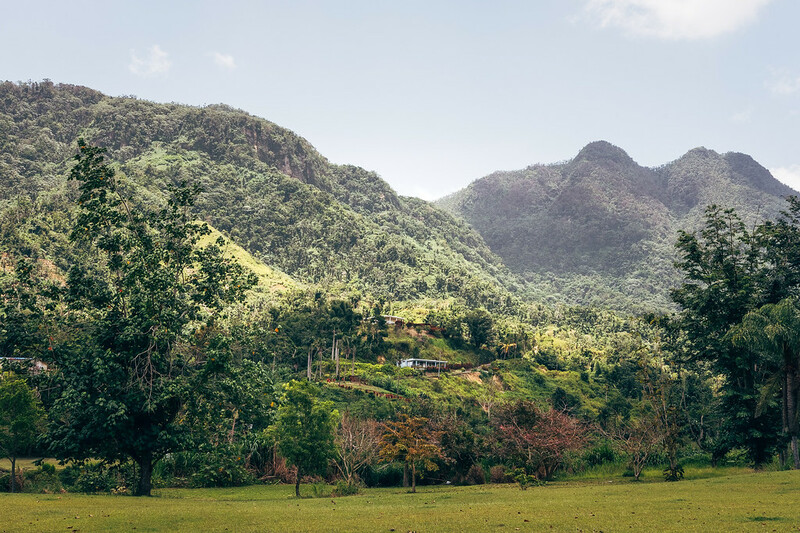 This landscape is in Jayuya, in the mountains of central Puerto Rico. It’s a special, even sacred, place where some of the last remaining artifacts of the original island inhabitants, the Tainos, are located. Such as the cemi (now a museum), a structure built by the Tainos to honor their sacred beliefs. And petroglyphs (stone carvings) as well.